About ETP | ETP Symposium Inc.
ETP Symposium Inc. is a non-profit organization that provides an open, interdisciplinary forum for scientists, engineers and technologists to discuss research and development of innovative tools. ETP was key in bringing two groups together to form a successful collaboration. HISTORY OF ETP SYMPOSIUM INC. The ETP Symposium was initiated as part of a Genome Canada project sponsored by MDS Sciex, Genome Alberta and Genome Prairie. 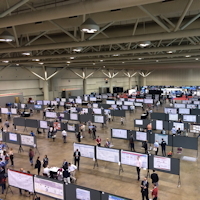 Its major theme was to have world-renown scientists present papers on their experiences with novel technologies that have, or will have a major influence on research in the life sciences. The popularity of the original two symposia led to the creation of a not-for-profit entity, ETP Symposium Inc., who now is responsible for organizing the symposium on a biennial basis. The theme remains the same: alerting scientists in the life sciences to advances in new technology that could have a significant impact on their research activities. ETP Symposium Inc. (ETP) specializes in organizing and running scientiﬁc conferences. Founded in 2006 as a non-proﬁt corporation, ETP is committed to organizing and operating educational seminars and forums, and to the development of interdisciplinary opportunities for researchers and scientists in the life sciences area. 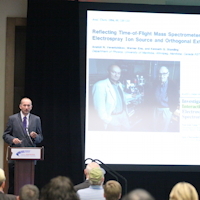 ETP is well known in the scientiﬁc community and speciﬁcally as it relates to mass spectrometry. A full listing of events organized by ETP may be found here. In addition to offering our services to others, ETP successfully runs its own Symposium entitled International Symposium on Enabling Technologies (see www.etpsymposium.org). ETP’s roots are based in a research environment. 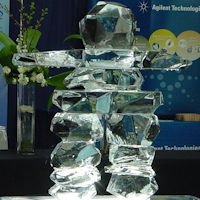 The ETP Symposium was created as part of a collaborative project including: Genome Canada (through its regional ofﬁces Genome Prairie/Genome Alberta), SCIEX, University of Victoria, University of Alberta, University of Manitoba, Queens’ University at Kingston, and Le Centre hospitalier universitaire de Québec (CHUQ). 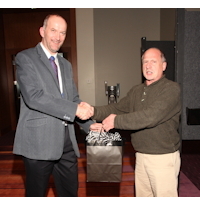 The project title was: The Development of Enabling Technologies for Proteomics and Genomics. 1) The Ken Standing Award established in 2006 to honour the lifetime achievement of Dr. Kenneth Standing, Professor Emeritus, Dept. 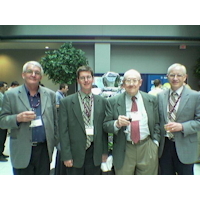 of Physics and Astronomy at the University of Manitoba. 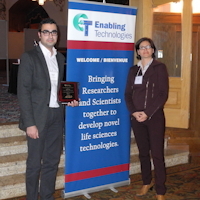 This award is presented at the biennial ETP Symposium to a young scientist who has made a signiﬁcant contribution to the development of technology related to the life sciences. 2) The Bill Davidson Graduate Student Travel Award established in 2012 to honour ETP’s co-founder, Bill Davidson, who passed away suddenly in 2009. This award is presented biennially at the ETP Symposium. The Awardees are selected from nominations by ETP’s Scientiﬁc Advisory Board. A complete list of members may be found on the ETP Symposium website.